It’s astounding to realize this behemoth is capable of a 22-knot cruise speed. 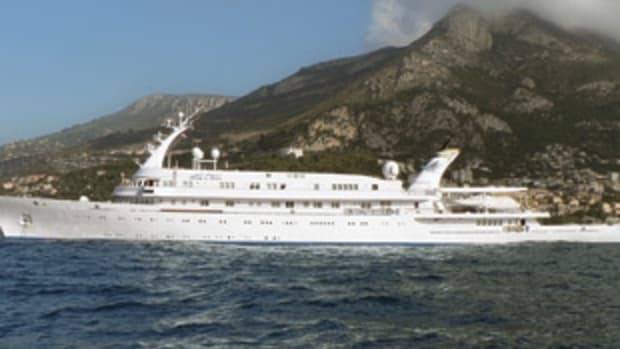 She was launched as just Abdul Aziz but renamed years later, as reflected here, by the late King Fahd of Saudi Arabia for his son. 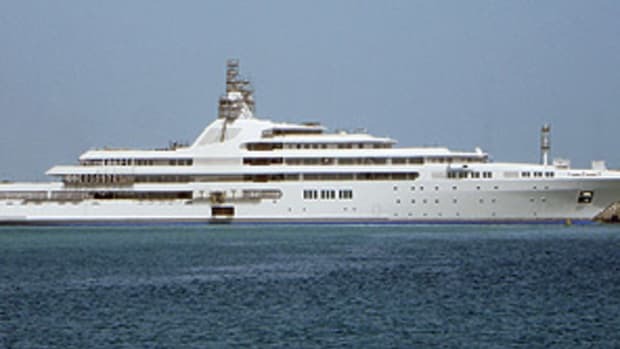 The yacht is presently owned by King Abdullah of Saudi Arabia. 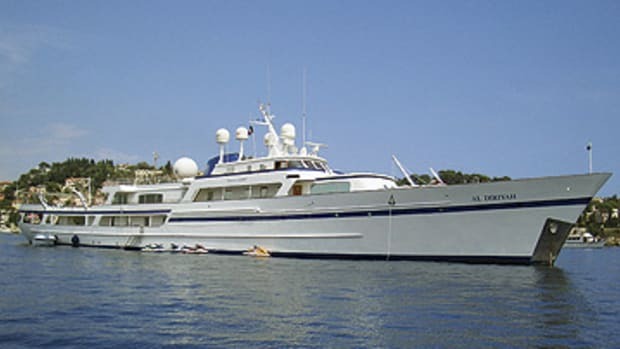 You might see her near the royal family’s compound in Marbella, Spain, or in the Malta area if it’s around the time she’s due for some service work. 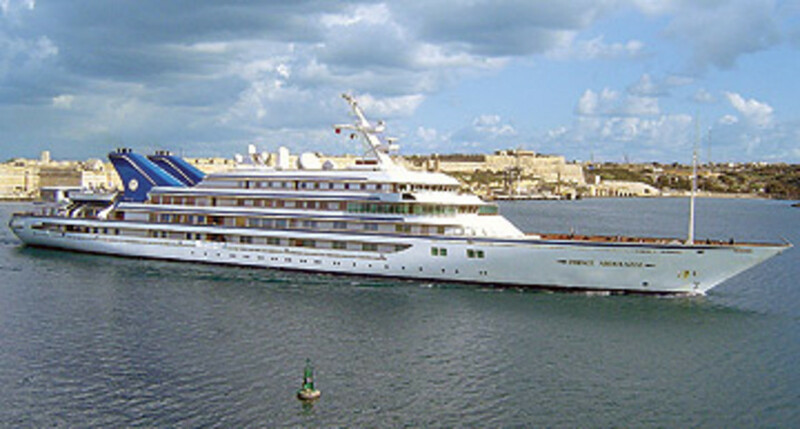 Even though she’s not the biggest yacht in the world, she does hold the distinction of being the largest built in the 20th century.